Blueberry muffins are a stable in our house. We tend to make them at least once a month, sometimes once a week! The kids love having them for breakfast, Jon takes them to work, and they really are just an easy snack that everybody loves. 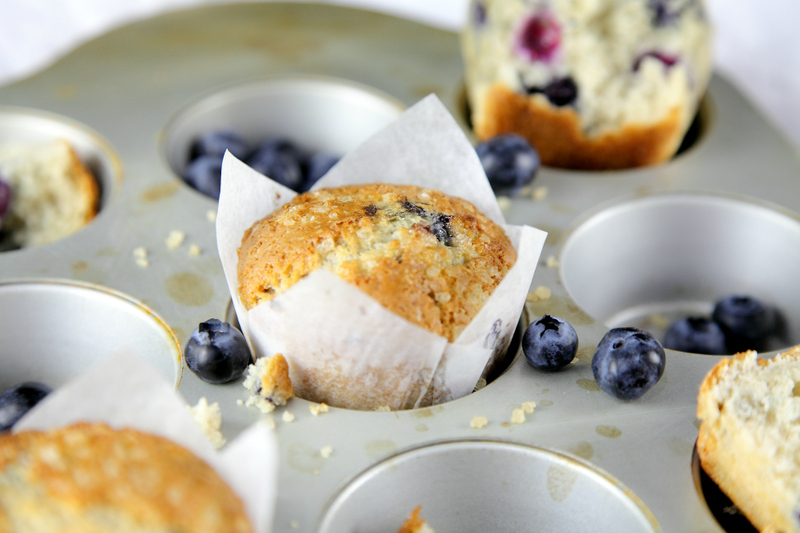 The things that makes these muffins extra good are the cinnamon, and the touch of raw sugar on top. Overall, there’s not a crazy amount of sugar added, it’s a ratio of one cup of sugar for every two cups of flour. This makes it not sickly sweet, and with all that cinnamon, it’s just like a warm hug. Well, that’s how my youngest describes it anyway. Now you can make these in regular cupcake cases, and it makes an even dozen. We like a few more mouthfuls, so I always grab the large parchment wrappers, and doing it that way, you should get around nine. There’s 4 of us, so it’s always a bit of a fight over who gets the odd one, but it’s rarely ever me, that’s all I can say! Our kids love helping in the kitchen, and this is a great recipe that they can make with a little supervision. Hope you and your family enjoy them too. 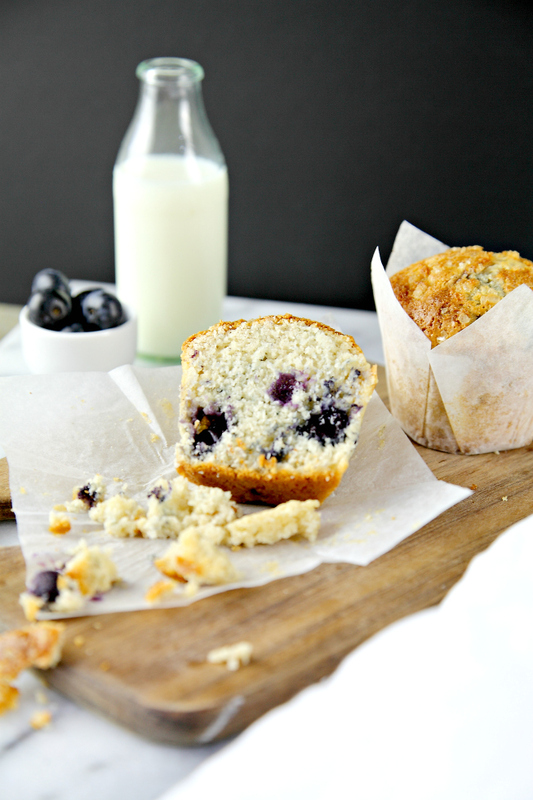 If you make this blueberry muffin recipe, remember you can tag us on social media #cakestyle. We love seeing your creations! 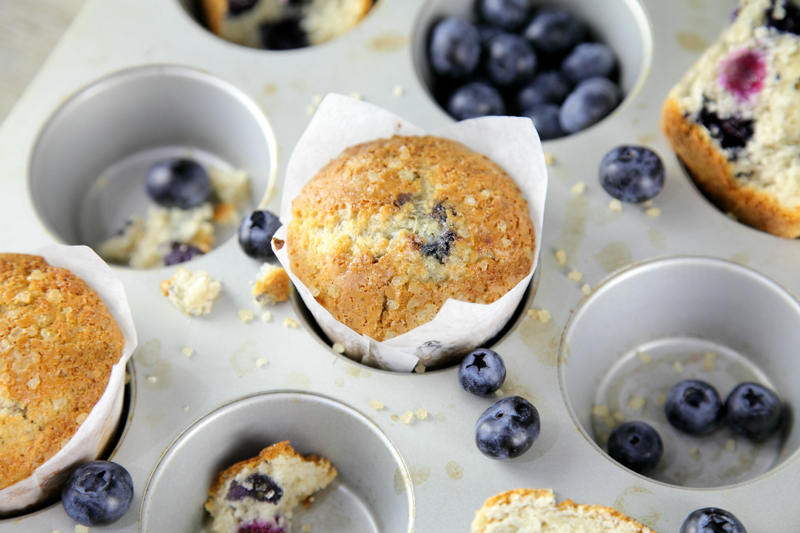 Line 12-cup muffin tins with cupcake papers or 9 large parchment wrappers. In a small microwave safe bowl, melt the butter, then allow to cool for 10 minutes. Meanwhile, in a large bowl, sift flour, sugar and cinnamon together. 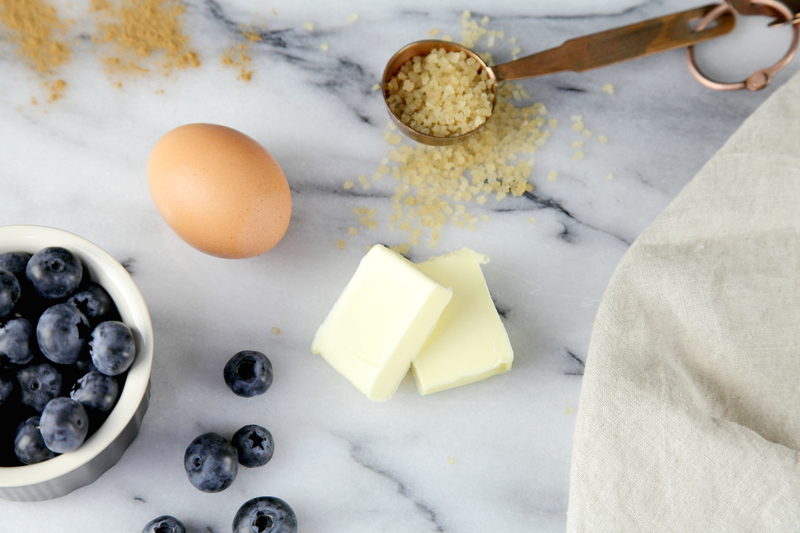 Add egg, milk, butter, and stir with a wooden spoon. Gradually add the blueberries, and slowly stir until just combined. Do not over beat. Scoop mixture into liners. Sprinkle the tops with raw sugar. Bake for 20 minutes, or 26-28 minutes for the large muffins, oruntil they spring back when pressed.